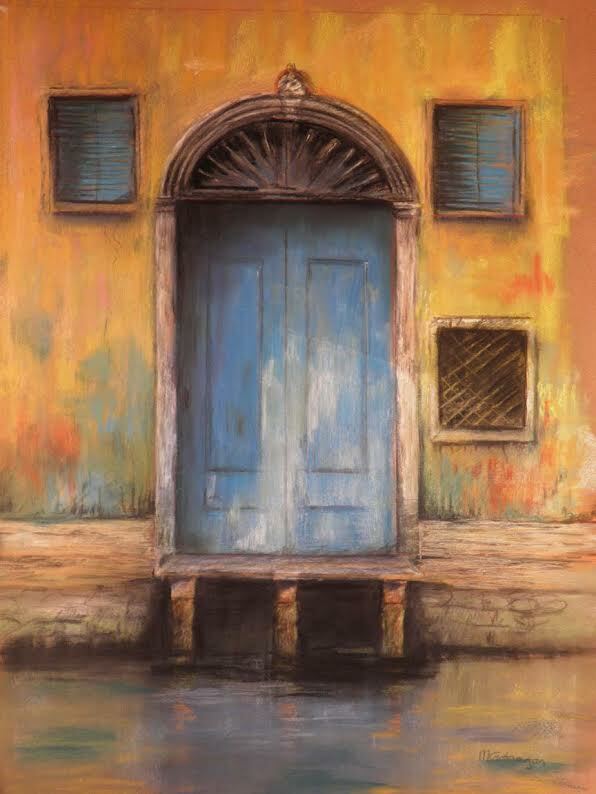 We caught up with Flavours painting tutor, Michael Gahagan, to discuss why Italy is an artist’s paradise and why he passionately believes that we can all draw. Michael also shared some of his favourite moments from our painting holidays and what else he enjoys the most on a Flavours holiday other than painting. Michael, we want to start off by saying a huge thank you for sending this beautiful painting to Flavours office. 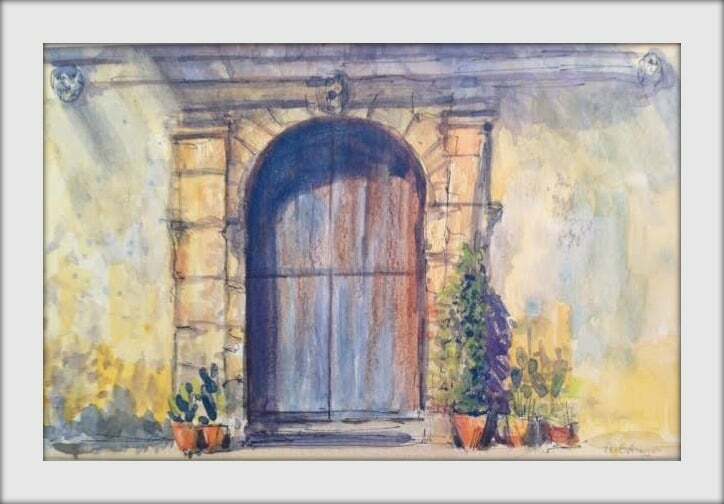 I am pleased you like the painting!..This is a small watercolour of an old door in the historic fishing village of Marzamemi in southern Sicily. The village captures the charm of Italy and the old buildings and doorways are ideal subject matter for plein air painting and sketching. 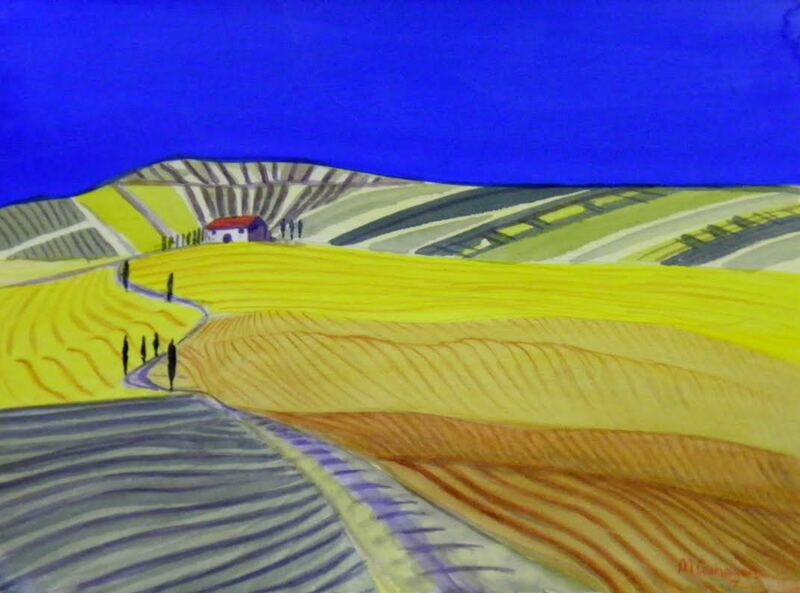 Can you tell us a bit about why you love painting in Italy? Italy is quite simply an artist’s paradise!….Whatever your preferred subject matter for painting, then Italy has it all in abundance! …For instance the picturesque landscapes, (which can change dramatically depending on the season), seascapes, historic buildings, beautiful cities, and traditional villages to name a few! Italy also has the sun ,which is a major bonus when you come from Scotland! As well as the comfort of painting in a warm climate, the strong light also provides wide tonal contrasts, allowing you to explore a varied range of warm and cool colours and inject vibrancy into your paintings…. I particularly enjoy street sketching and painting and it is a real joy to be able to relax at a pavement cafe with a cuppa, sketchpad in hand and time to savour the moment, as the world passes by! You’ve previously said you ‘passionately believe that we can all draw’. Why do you think painting holidays are good both for beginners and advanced painters? Yes I do passionately believe that everyone can draw! Everyone is different, however it is not unusual, nor surprising, that beginners might be a little apprehensive about sharing their painting skills and experience. For some beginners a painting holiday might be their first art experience since schooldays! A painting holiday creates the ideal opportunity for beginners to start their painting journey. A painting holiday gives them dedicated art time, enables them to ‘make their marks’, build their confidence, and develop their individual drawing and painting skills in a supportive environment, with guidance and direction from the tutor. For the more experienced artist, it is often the case that they savour the quality time to paint a varied range of subject matter in exciting, unfamiliar surroundings. It gives them the opportunity to develop their artistic skills, experiment, and explore their creativity with like minded individuals. You are amongst our guests’ favourite art tutors! Could you please share with us some of your favourite moments from a painting holiday? Thanks for your kind feedback although I bet you say that to all the tutors! The vibrancy of Venice on seeing it for the first time..and each time thereafter.. Arriving early at the Piazza del Campo in Siena on the day that the lottery for the horses taking part in the Palio di Siena are selected and seeing the early emotions, tensions and celebrations unfold ! The joy of hearing that one of my painting beginners had won an art prize with Flavours! Seeing an old Italian village or city for the first time… and the painting opportunities that cry out! How does meeting new people who share the same passion for painting help creativity and painting in a group setting? There is tremendous value in seeing how others sketch, draw and paint. I believe that sharing ideas, techniques, styles, approaches, good paintings and not so good paintings, are all valuable means of learning for beginners and advanced artists alike. In short, a painting holiday is a cauldron of creativity available for all participants. Finally, what do you enjoy the most on a Flavours holiday other than painting? The cooking is to die for ! Plunging into the villa swimming pool pre breakfast ! “Sitting on the dock of the bay” in Sicily. Day dreaming at street-side cafes in Marzamemi, Sienna, Lucca, Florence, Venice. Watching sunrises and sunsets over the Tuscan skyline. At the end of the holiday, enjoy seeing the sketches and paintings of all participants, beginners and advanced. An absolute delight and proof that we all can draw!